The Assisted Dying Coalition is the UK and Crown dependencies coalition of organisations working in favour of legal recognition of the right to die, for individuals who have a clear and settled wish to end their life and who are terminally ill or facing incurable suffering. Below you can find some news updates from our members. Elsewhere on the site you can also find more about us, our members, and our personnel, and how to get in touch. The post 93% think that assisted dying is acceptable in at least some situations appeared first on My Death, My Decision. Those who are suffering from an illness which will eventually cause their death (regardless of timescale). Those who are expected to die from their illness within 6 months. Those suffering from Alzheimer’s disease before they lose the mental capacity to make a life ending decision. The results are discussed in detail here. What is astounding about these results is the very high level of support for all these forms of assisted dying. Depending on the scenario, between 88% and 93% of respondents thought it acceptable in at least some situations. Comparing results between the scenarios, it demonstrates clearly that public opinion is strongly in favour of the sort of broader approach to assisted dying favoured by MDMD, as opposed to narrower approaches based on the law in Oregon which limit assisted dying to those who are within 6-months of dying. MDMD is proud to be a founder member of the newly formed Assisted Dying Coalition which brings together the UK organisations campaigning for this broader approach to assisted dying. We were surprised that the research found that the strongest support was for those whose illness would eventually kill them, regardless of timescale. 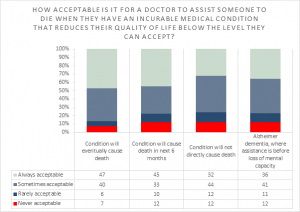 In this situation 93% of respondents thought that a medically assisted death was acceptable in at least some situations. That is a huge majority. The current law in the UK prevents assisted dying in all situations. Our new research shows that the doctors and politicians who continue to oppose a change in this law are even more out of tune with the people they are supposed to be serving than was previously thought. How can we have confidence in the medical profession if they do not respect our rational end-of-life wishes? How can we have confidence in our politicians if they refuse to change a law which makes some people suffer unnecessarily, against their will at the end of their lives – making others decide to go to Switzerland for medical assistance to end their lives, often too soon? Palliative care is a wonderful service that helps many people – and could help even more with increased funding. But even the best palliative care can not help in all situations. 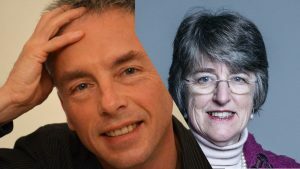 I recently asked Baroness Finlay, a leading professor of palliative care and strong opponent of assisted dying, how I could avoid an unpleasant end of life like my mother’s, if I too was diagnosed with dementia. Her answer – to look on the internet for illegal lethal drugs – is totally unacceptable and shocking. 88% of people in our poll think that in some situations like this, assisted dying is acceptable. We demand a more compassionate, patient-centred approach to avoiding end-of-life suffering, an approach that includes medical assistance to die as a last resort. Of course, agreeing that it would be “acceptable for someone to have medical assistance to die” is significantly different from agreeing to a specific change in the law, where all the safeguards have been carefully thought through. But what is clear is that the debate now needs to move on. We should be no longer discussing whether or not assisted dying should be permitted, but instead be working on the details of how assisting dying can be safely and comprehensively introduced, ensuring adequate protection for those who may be vulnerable. In doing so we should learn from other jurisdictions where some form of assisted dying is permitted. It is bitterly disappointing that the palliative care medical community are so reluctant to talk constructively about improving end-of-life choice when it includes assisted dying. In the eyes of 93% of the people surveyed, that can only undermine the reputation of palliative care. That is unfortunate, as good, comprehensive, patient-centred, palliative care is an important component in ensuring that as many as possible have, what for them, is a good death. The post Jersey Government Will Research Assisted Dying Reform appeared first on My Death, My Decision. Last week, Jersey’s Council of Ministers announced that a new commission will research end of life options, including the legalisation of assisted dying and dying well The announcement follows after more than 1,800 people signed a petition from End of Life Choices Jersey (MDMD’s partner in the newly formed Assisted Dying Coalition). Tanya Tupper, whose terminally ill mother Roberta is planning to end her life in the Swiss clinic Dignitas, began the campaign to change the law. Last year, after contacting Jersey’s’ election candidates she found that around a third of Jersey’s candidates would have supported changing the law to permit assisted dying in Jersey. In answer the petition, Health Minister, Deputy Richard Renouf said that “much of the debate in other jurisdictions has been underpinned by shared values of care, freedom of choice and compassion. It is these shared values that we should now draw on in reviewing our own laws on end-of-life care to understand if a change is needed, and, if so, how to make that change”. Jersey’s research will aim to bring together international research and focus upon: eligibility criteria for an assisted death, protection and safeguards for patients, the registration of medical practitioners, and ethical codes of conduct. Jersey, an island of over 100,000 people, would be the second channel Island to consider legalising assisted dying, after Guernsey’s parliament voted against a similar proposal in May 2018. “Having opened the door to a more compassionate approach to dying, I urge the Council of Ministers to review the evidence on an objective basis, and adopt a law which strikes a kinder balance between empowering individuals, respecting their dignity, and protecting the most vulnerable with stringent safeguards. Many in the UK and channel Islands will now look to Jersey to lead the way on this issue. Now is the time for the law to change. The first-ever national coalition for assisted dying, made up of a cross-section of campaigners including doctors and nurses, has formed to push for the legalisation of assisted dying for the millions of citizens in the UK and crown dependencies who want the right to choose. The Assisted Dying Coalition will campaign for the legal recognition of the right to die for individuals who have a clear and settled wish to end their life and who are terminally ill or incurably suffering. The Coalition is made up of five organisations: End of Life Choices Jersey, Friends at the End, Humanist Society Scotland, Humanists UK, and My Death, My Decision. 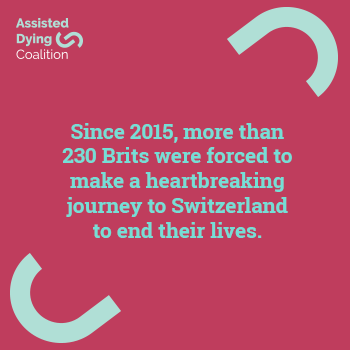 The Coalition’s launch today coincides with the release of new figures that show that since the UK Parliament last considered assisted dying laws in 2015, more than one citizen per week (233 people), were forced to make the heartbreaking journey to travel to Switzerland to end their life. The Coalition says thousands more that might want an assisted death don’t have the financial or physical means to travel to Switzerland. The figures also reveal that almost 1,500 UK citizens have a paid membership with an assisted dying organisation in Switzerland, highlighting the growing desperation of many looking to foreign countries to give them peace of mind because the UK denies them choice. It costs on average £10,000 per person to access the services of a Swiss clinic. The group is also backed by activist Paul Lamb. Paul, who is paralysed from the neck down, took his right to die case to the Court of Appeal, the Supreme Court and the European Court of Human Rights after Tony and Jane Nicklinson’s case failed. Launching the coalition, the group’s Chair Carrie Hynds, a long-time assisted dying campaigner and Director of My Death, My Decision, said the issue could no longer be seen as ‘too ethically complex’ for Government as 80% of the UK public now supported legalising assisted dying. Assisted Dying Coalition Chair Carrie Hynds said: ‘It is disgraceful that in the last few years alone, 233 people have been forced to make that agonising journey abroad, far from their family and friends, to have an assisted death. The various legislatures in these isles might want to wait, but it is too late for those who have already faced this injustice. The new push for legalising assisted dying comes at a crucial time, after the announcement by the Royal College of Physicians that it will consult its members on the issue, and two recent high-profile public cases. The first case was that of Noel Conway, a Humanists UK member, who suffers from motor neurone disease, who recently lost an application to appeal at the Supreme Court despite his lawyers arguing that it was a breach of his human rights to deny him an assisted death. Mr Conway says his only option now will be to remove his ventilator and suffocate to death. The other was Omid T, a Humanists UK member, who died at the Lifecircle clinic in Switzerland in October 2018 after a long battle with multiple system atrophy. His dying wish was to bring about assisted dying reform in the UK. For a copy of our statistics briefing notes, click here. End of Life Choices Jersey is a campaign group working to empower mentally competent adults with incurable health problems which result in their perceived quality of life falling permanently below the level they are able to accept, provided this is their own permanent request, the option of an assisted death. They campaign to change the law on assisted dying, and to encourage a wider conversation about the use of advance decisions. Friends at the End (FATE) is a leading campaign group in Scotland, working towards a change in the law to allow assisted dying. For over 17 years, it has worked to promote knowledge about end of life choices and campaigned for better end-of-life care for everyone. Humanist Society Scotland is part of the wider humanist movement, with a clear vision for a secular Scotland. They work to further ethical and moral outcomes based on compassion, knowledge and reason. Humanists UK advances free thinking and promotes humanism to create a tolerant society where rational thinking and kindness prevail. Its work brings non-religious people together to develop their own views, helping people be happier and more fulfilled in the one life we have. Through its ceremonies, education services, and community and campaigning work, it strives to create a fair and equal society for all. Humanists UK believes that individuals who are of sound mind but who are terminally ill or incurably suffering should have a right to decide to end their life at a time and in a manner of their choosing. My Death, My Decision (MDMD) is a right to die organisation which wants to see a more compassionate approach to dying in the UK. It campaigns for a change in UK law to allow medical assistance to die to be given to mentally competent adults, with incurable health problems that result in their perceived quality of life falling permanently below the level they are able to accept, providing this is their own persistent request. T he staff and trustees of Humanists UK are sad to note the death of humanist moral philosopher and logician Michael Clark, who ended his life at Dignitas in Switzerland on 23 January 2019. He was a longtime member of Humanists UK and its Humanist Philosophers Group, contributing to many of its publications over the years. Michael first began a life-long love affair with philosophy while at school, and in 1962 he won a place to study Philosophy and Psychology at Exeter College, Oxford. His promise as a philosopher was on display even then: he was the recipient the prestigious Open Scholarship, a generous bursary available only to the brightest students. It was there at Oxford that he developed a rewarding fascination with the pursuit of formal logic. This interest propelled a long academic career that spanned the universities of Aberdeen, Manchester, New Orleans, and Nottingham. Having become one of the UK’s most distinguished philosophers, Michael was named Emeritus Professor of Philosophy at the University of Nottingham, which had awarded him his D.Litt in 2014. 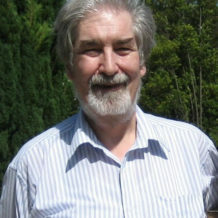 Since 2000, he had been editor of the leading philosophy journal Analysis. Michael was a supporter of Humanists UK’s work, including its long-running campaign for the right to die for people with incurable and terminal illnesses, but his interests extended far wider than that. He was particularly invested in education policy, seeing the UK’s discriminatory and sectarian schooling system as detrimental to social cohesion. He was also very concerned with developing public understanding of humanism. Michael’s investment in humanism reflected a commitment across his life to inclusive civic spaces that brought people from different backgrounds together. It was this aspect of his character that drew him, time and again, back to questions of moral philosophy and the philosophy of law: enterprises at once concerned with the social fabric that exists between people, and the ways in which governments and courts help to both provide for and shape just and fair societies. ‘Michael was a distinguished philosopher, specialising in logic, law and paradoxes. He was a strong supporter of Humanists UK, the legalization of assisted dying – and jazz. He thought it was appalling that, with regard to the United Kingdom, when suffering and needing to bring an end to your life in a reasonable manner, you required the knowledge, financial resources and physical ability to travel abroad to a country with a more civilized and respectful understanding of how some people have had enough. The Humanist Philosophers Group is part of Humanists UK, and exists to promote a critical and rational approach to public ethical issues. Its members have been heavily involved in Humanists UK’s recent legal work on abortion rights and the right to die. Members include many of the UK’s most eminent moral and analytical philosophers, including Louise Anthony, Julian Baggini, Simon Blackburn, Steve Burwood, Peter Cave, Jonathan Derbyshire, Simon Glendinning, AC Grayling, John Harris, Alan Haworth, Brendan Larvor, Sandra Marshall, Sheila Mclean, Peter Millican, David Papineau, Janet Radcliffe Richards, Ben Rogers, Peter Simons, Raymond Tallis, Nigel Warburton, Patricia White, and John White. In October 2018 it is reported that the American Academy of Family Physicians (AAFP) broke ranks with the American Medical Association (AMA) by adopting a position of “engaged neutrality” on assisted suicide and euthanasia. At its Congress of Delegates in New Orleans the AAFP, the second largest component society of the AMA with more than 131,400 members voted to adopt a position of “engaged neutrality” and to reject the use of the terms “assisted suicide” or “physician-assisted suicide”. “Through our ongoing and continuous relationship with our patients, family physicians are well-positioned to counsel patients on end-of-life care, and we are engaged in creating change in the best interest of our patients,” said the AAFP president Michael Munger, a physician from Kansas. This is important in the UK because the BMA radically opposes assisted dying, whereas the BMJ has come out in favour of putting it to the vote, to show the true picture amongst British doctors. Often it is the minority groups such as ‘Care Not Killing’ which shout the loudest. I once heard a story of a Methodist Minister trainee student who wrote his sermons out in full with notes in the margin. On one occasion one of his colleagues happened to come upon one of these sermon transcripts and was amused to read in the margin ‘weak point, shout louder’. In the UK. nurses are the largest group of care providers for the terminally ill, so it is not surprising that following an extensive and detailed consultation process with their members, the Royal College of Nurses moved in 2009 to adopt a neutral stance in relation to assisted dying for people who have a terminal illness. It is time the BMA followed suit and stopped giving politicians an excuse against seeing reason and voting for legislation allowing Assisted Dying for the terminally ill and those suffering long term incurable health conditions which have reached a stage of relentless suffering, provided this is their own persistent wish. The AMA opposes assisted dying but the AAFP is neutral. The British Medical Association opposes assisted dying, but the British Medical Journal advocates in favor of changing the law. There seems to be a divide between the views of doctors and the organisations representing them. The post American Family Physicians Association (AAFP) changes position on medical aid in dying appeared first on My Death, My Decision. Talking about Dying – More than Meets the Eye? Recently the Royal College of Physicians (RCP), in a widely reported statement, called for doctors to start talking about death earlier. It followed from a report, “Talking about Dying”, which found only 4% of patients talk to their doctors about dying or benefit from advanced care planning. Stating that open dialogues, although sometimes “challenging”, were essential to good medical practice the RCP identified three barriers to end of life conversations: culture, confidence and practicalities. On culture, the RCP found a systematic gap between patient’s expectations and clinical practice. In particular, they found whilst 77% of patients would prefer being told if they had less than a year to live, a majority of doctors preferred not discussing the topic. The report also found that “death [is widely viewed] as a failure” amongst the medical community, and a culture exists which prevents patients from discussing the acceptable limits to treatment. Indeed the report found many doctors believe their role is to “cure all ailments”, thus meaning that they believe they should always “do something to help [even if it resulted] in unnecessary aggressive treatment”. On confidence, the report found that at all levels doctors feel unprepared to talk about dying. Specifically, the RCP found that junior doctors feel most unprepared, because they often lack opportunities to practice end of life conversations and consequently feel worried about initiating them. Finally, on practicality, the report found most doctors were unclear at what stage conversations should begin. Additionally, doctors were unclear which healthcare professionals should be responsible for conducting end of life conversations. Indeed, many staff admitted “they were reluctant to start conversations … if they could not finish them … themselves”. Consequently, the RCP recommended a raft of proposals to improve the dialogue between doctors and patients. For example, they recommended better training for undergraduates, a public awareness campaign and a better understanding of an end of life conversation’s purpose. The RCP stressed, that conversations should not be considered singular events, but rather understood as a continuing process of “encouraging a patient to think about their preferences”. Interestingly, the Royal College also suggested conversations should not begin in the last phases of someones life, but could and should begin at any point. MDMD strongly endorse these conclusions. We promote these discussions with medical professionals both as part of possibly refusing medication and as part of end of life planning using advance decisions to refuse treatment, advance statements of wishes to guide “best interests” decisions, and lasting powers of attorney for health and welfare. We also strongly encourage discussion with family and close friends. These discussions can help both the person whose life will soon end, and those who they will leave behind. In the light of this report, and the excellent book “Being Mortal” by Atul Gawande, which touches on similar topics and the over-medicalisation of our care for the elderly, perhaps the medical professions should get initial conversations started long in advance of any serious illness, during routine medical check-ups in people’s 60’s and 70’s? Two factors indicate that “Talking about Dying” may signal a subtle shift in the Royal College of Physicians in this direction. 1) Good End of Life Planning “is not just about high quality palliative care in the last weeks or days”. Throughout the RCP’s report palliative care examples were heavily drawn upon to evidence their claims. Indeed, the report even went so far as to ultimately conclude that physicians find end of life conversations difficult, because “there are not enough palliative care specialists”. Despite this, “Talking about Dying ” is important, because it signals that the Royal College of Physicians may be moving away from a simple insistence that good palliative care is all that is required. My Death, My Decision welcomes this movement. Palliative care is an important end of life choice, and it brings relief to a very large number of suffering individuals. 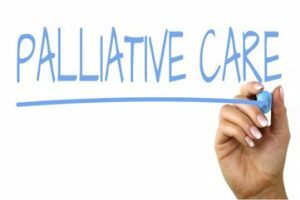 However, it is important to acknowledge that for all its benefits, palliative care is not sufficient for everyone, in all situations. Palliative care is principally a pain oriented form of treatment. Thus, it is limited in the extent it can help individuals who fear a loss of dignity and autonomy. Without the option of an assisted death, should they eventually need it, some people quite understandably fear that their end of life will be intolerable for them. This fear alone can prevent them having a good death. We believe that palliative care and assisted dying are neither alternatives nor antagonistic options. Experience in parts of Belgium has demonstrated, for over a decade, that the two can work in tandem. My Death, My Decision would encourage any future change in the law to adopt a similarly integrated approach. 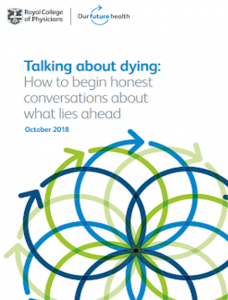 Another interesting aspect of “Talking about Dying”, was the Royal College’s frank admission that “Professionals are often reluctant to initiate conversations about the end of life because they are not sure that the patient will die within the next 12 months”. MDMD fully understands that it is impossible for doctors to make accurate predictions on life expectancy. They should not be expected to do so, not in relation to when to start conversations about end of life treatment, nor in relation to eligibility for welfare benefits, nor in decisions as to whether someone might be eligible for an assisted death. Patients and legislators need to accept this too. Patients wanting to discuss end of life options, should not be refused a conversation merely because an accurate life expectancy assessment is impossible, regardless of any timescale. MDMD believes that those suffering from non-terminal illnesses, such as Locked-in Syndrome or Multiple Systems Atrophy, are entitled to the same conversations and choices as those whose end of life is sooner and more predictable. The Royal College of Physicians seem to reflect a wider trend of doctors pushing back against a rigid 12-6 months time frame. For example, in Scotland it was recently decided that “terminal illness”, as it applies to the right to certain benefits, is now determined by doctors without any need for an estimate of life expectancy. Further, in Canada the Medical Assistance in Dying law there is applicable to those with a “reasonably foreseeable death”, again with no specified time limit. discuss options like medically assisted suicide in Switzerland, refusal of food and drink, and rational suicide. Even if they cannot assist in these options. provide documentary evidence of the patient’s condition together with medical records. 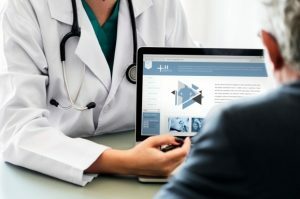 Patients should not fear discussing their well-considered options in case doctors attempt to withhold that essential information as a method of frustrating a patient’s attempts to arrange a medically assisted death abroad. The post Talking about Dying – More than Meets the Eye? appeared first on My Death, My Decision. Today, assisted dying campaigner Noel Conway has lost permission to bring a case before the Supreme Court. Diagnosed with Motor Neurone Disease (MND) four years ago, the retired teacher from Shrewsbury, is dependent upon a ventilator for up to 23 hours a day and has limited movement in his right hand, neck and head. Mr Conway now says that he wants the choice to decide when and how to die. However, he would be unable to do so without assistance. Under current UK law, it is a criminal offence to assist the death of another and anyone found guilty faces a jail sentence of up to 14 years. However, at a permission hearing last week, Mr Conway’s lawyers argued that Section 2(1) of the 1961 Suicide Act was in breach of the 1998 Human Rights Act and should be declared incompatible. Mr Conway’s case followed almost two months after another assisted dying campaigner, Omid T, had lost a similar legal challenge and ended his life in Switzerland. It is unclear what the longer term implications of this judgement may be. There is some indication from the court’s focus upon Mr Conway’s non invasive ventilation, that it would be possible for a different claimant, without this option, to bring a new case in the future. The post PRESS RELEASE: Right to Die Campaigner Noel Conway Loses challenge in UK’s Highest Court appeared first on My Death, My Decision.